Revisited plays comprised the Set E of The Virgin Labfest XI. 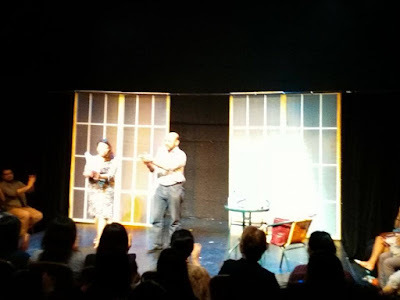 Aptly chosen, the plays revolved around the theme "revisit", as the stories tackled relationships in the past and how these affect our decisions in the present. 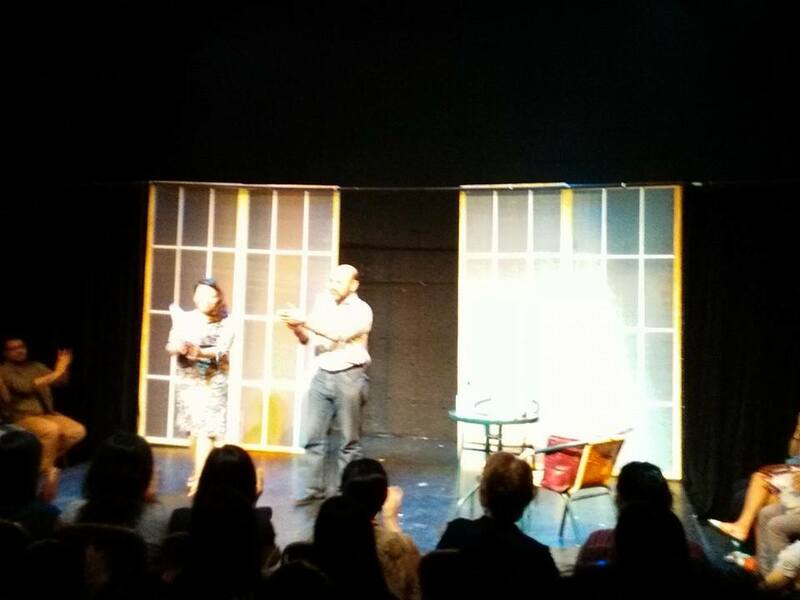 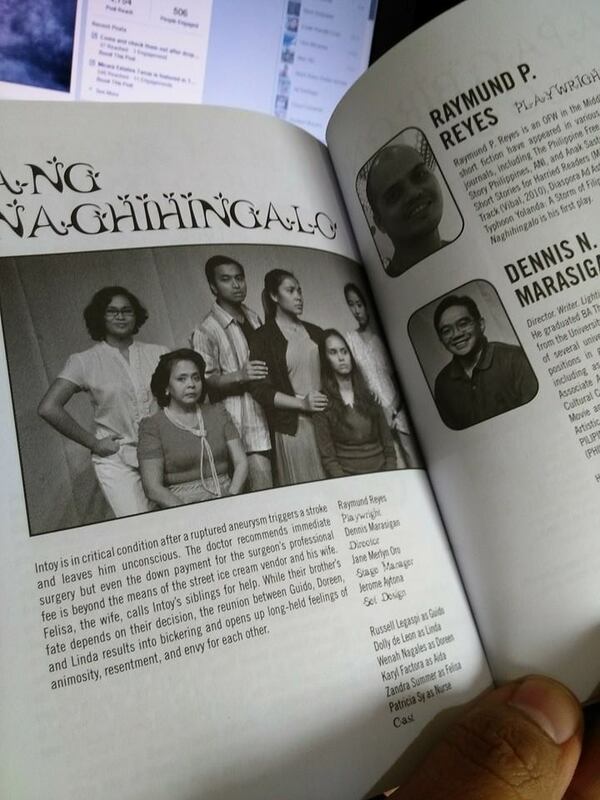 Raymund Reyes's "Ang Naghihingalo" focused on sibling relationships and how "the past" made it difficult for the siblings to decide whether or not they would fund the operation of their youngest brother who was in the ICU and was already dying. 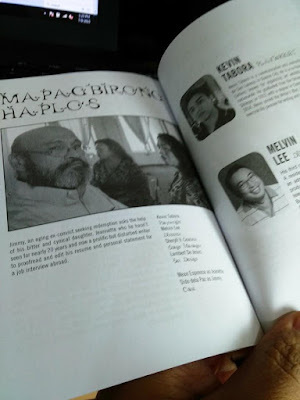 The cast of "Ang Naghihingalo"
Meanwhile, Kevin Tabora's "Ang Naghihingalo" centered on father-daughter relationship and how an "ugly past" could make or break a person. 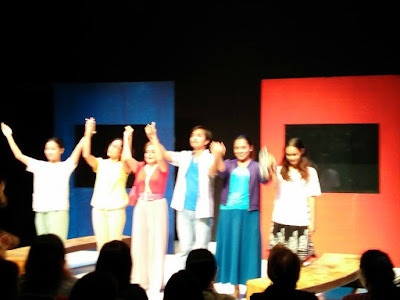 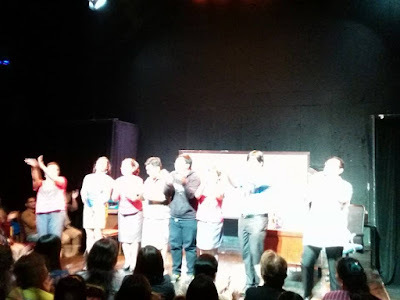 The cast of "Mapagbirong Haplos"
Lastly, Eljay Deldoc's "Ang Goldfish ni Prof. Dimaandal" --- the funniest play, I have seen in the festival so far --- had several layers of revisiting and reexamining "the past": from the murder of Dedels the goldfish, to the high school romantic relationship of the parents of the "suspects", to the way we were taught how to handle and solve a problem "intelligently, logically, and, methodically". 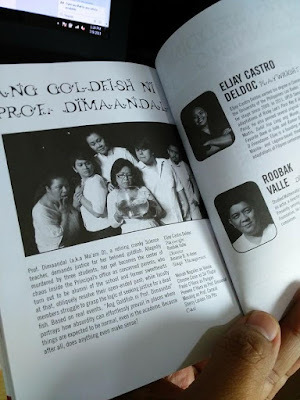 Eljay Deldoc's "Ang Goldfish ni Prof. Dimaandal"
The cast, the writer, and the director of "And Goldfish ni Prof. Dimaandal"